Before getting into my article I’d like to honor one of the greatest Green Bay Packers who passed this week, at the age of 85, Forrest Gregg. For 15 seasons he was the epitome of what it means to be a Green Bay Packer. Forrest was an anchor on the offensive line for Vince Lombardi. 188 consecutive games (record at that time), 1st Team All-Pro 7 times, Pro Bowl 9 times, Pro Football Hall of Fame inductee 1977, in his first year of eligibility, and voted to the NFL’s 75th Anniversary team. We can only hope the current Packers feel this type of magic at Lambeau and commit themselves to a return of the Lombardi Trophy to it’s rightful home. What a week for the Green Bay Packers! The end of a wild news week and an era that is officially in the past. We fans truly welcome Matt LaFleur and his designs for the 2019 Packers. Change was in the air at Lambeau beginning April 8th not only with new coaches and new players, but a new look inside Lambeau as well. As I understand it, LaFleur has removed some of the “old” images, changed up the seating during meetings and made the players feel the change the in air. These actions may appear trivial, but it’s a way to visually convey, “out with the old and in with the new.” New offensive and defensive schemes will be obvious to everyone. But it may be subtle changes us fans don’t get to see that usher in LaFleur’s new winning attitude for the players. The 2019 OTA’s began April 8th, with the veteran’s, free agent signees, and new coaches all on hand. This session will last 2 weeks, but is limited to 4 hours strength training and conditioning with about 90 minutes on the field allowed. Because the Packers have a new coaching staff the NFL also allows a voluntary minicamp April 23-25. OTA’s will begin in May with 5 separate sessions ending on June 6th. A mandatory minicamp will be held June 11-13, which will include team physicals and practice on the field. 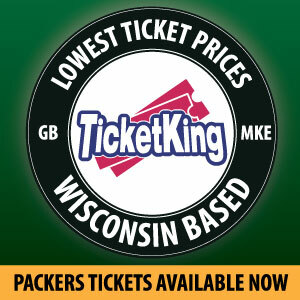 Stating the obvious, April 25-27 NFL Draft is huge for the Green Bay Packers. This may be the most important draft in years for our Packers. 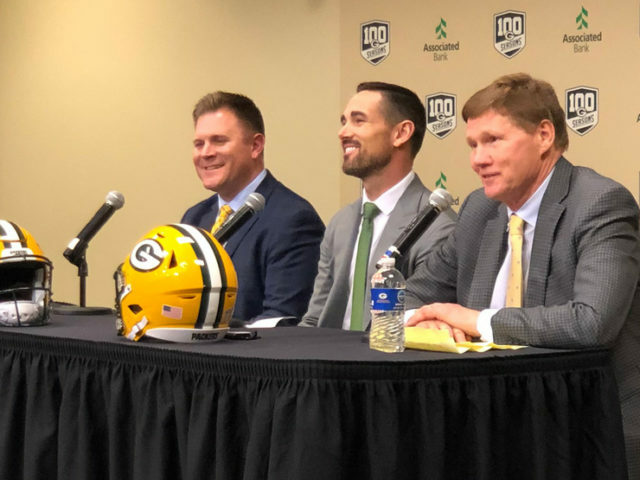 Brian Gutekunst has displayed personnel strategies that have been lost on Packer fans over the last several years under Ted Thompson. Gutekunst has surprised us in Free Agency for sure and I have a feeling he has some tricks planned for the 2019 Draft. If the Packers trade down and pick up another first round pick (to bring the total to 3) or pick up multiple 2nd and 3rd round picks, I wouldn’t be surprised at all. The addition of the Smith’s and Amos for Mike Pettine’s defense and Turner to bolster the OLine, Gutekunst’s draft strategy now has many options. I have read so many mock drafts to this point my head is spinning. I will limit this to sharing my favorite picks by combining which mock’s made the most sense to me. [Keep in mind I will not address a potential trade out of Pick #12] At Pick #12 the Packers select Brian Burns, Edge Rush, Florida State, #30 Dalton Risner, OL, Kansas State, #44 Nasir Adderley, S, Delaware, #75 Andy Isabella, WR, UMass, #114 Bob Okereke, ILB, Stanford, #118 Max Scharping, OT, UNI, #150 Benny Snell, RB, Kentucky, #185 Mitch Hyatt, G, Clemson, #194 Tony Pollard, RB Memphis, #226 Zach Gentry, TE, UM. There you have it…..if I get one pick right, I’ll be a success in my mind. Armed with possibly one the top Free Agent classes in 2019, a quality haul in the draft, a rejuvenated/healthy Aaron Rodgers, steady improvement on defense, a young, but experienced WR corps, and a solid run game, Matt LaFleur and the Packers will contend again in the North and the NFC. Mike Pettine made progress with an injured defense in 2018. The Packers expect that trend to continue and are banking on new techniques to improve conditioning and health. This entry was posted in Greg Pierangeli, Uncategorized and tagged Aaron Rodgers, Brian Gutekunst, forrest gregg, Green Bay Packers, Matt LaFleur, Mike Pettine, NFL Draft, nfl free agency. Bookmark the permalink.